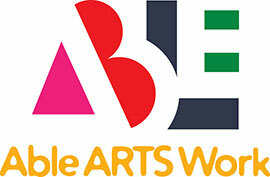 Long Beach, CA -- March 30, 2016: Arts & Services for Disabled, Inc. (ASD), a local nonprofit that enhances the lives of persons with disabilities through the creative arts, will participate in First Fridays Bixby Knolls Art Walk, April 1, 2016. Artwork created by students will be available for purchase on site. Resident artists with disabilities earn a 50% commission from the sale of each item sold. ASD participates in local art exhibits to create opportunities for student artwork to be seen and purchased. Some artwork is also available for purchase on the organization's Etsy store. The GO! Store is an example of how a relatively small group of passionate, dedicated, talented and historically marginalized community can succeed with an inclusive approach to joining the marketplace. About Arts & Services for Disabled, Inc.